A spoon I pounded flat with a hammer and then cut into a point with a band saw and creating the edges with a sander and then a file and honing rod. The point is on the broken end of my arrow down by my gut pile somewhere because I forgot to grab it. I will go hunt it down and take a picture of it tomorrow. Well Done. Congrats all around. Here is a picture of the spoon point I killed it with. That's a nice fat buck! Congratulations not only on a good buck, but for using your homemade equipment. Well done! Hey Man...huge congratulations! You took this guy the coolest way you could have...all home made equipment and with a very excellent shot! I absolutely love it! This to me represents what traditional archery is truly all about! Looks like possibly a 2 1/2 yr old buck, good one to kill. Just goes to show it ain`t just a fork that will kill ya`! Impressive. I love all of the homemade gear. Little! Are you kidding me. 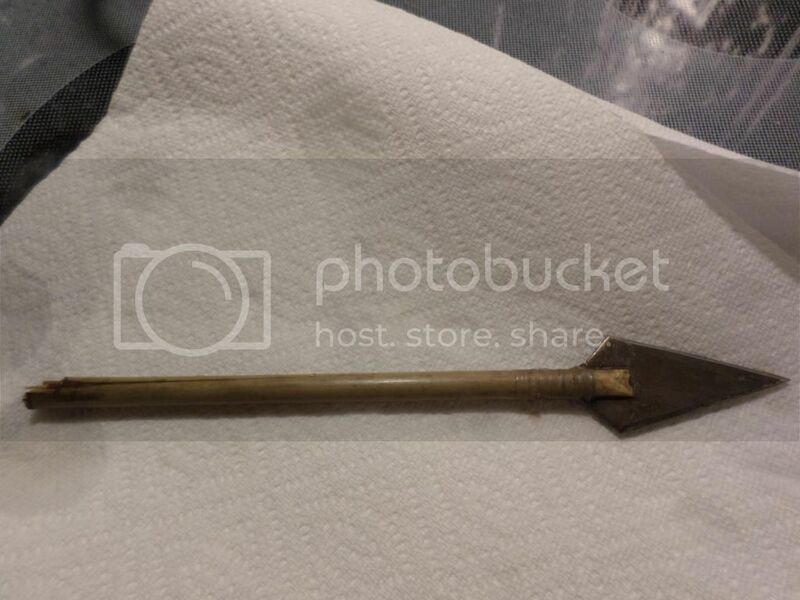 . . homemade gear, pounded spoon broadhead??? You should be on MI Outdoors and you should do some special mount of that deer- at least a Euro mount!! I am more than impressed!! That's awesome. The personal touch adds so much too it. Congrats. Thanks for sharing. Wow. A lot of well deserved respect on your kill. Nice work! Great work on all the equipment and the hunt. Well deserved, congrats! Thanks for the kind words guys! A lot of luck ran my way at the right time. But like they say its better to be lucky than good! Dan, where did you live in Michigan?